Denver Broncos defensive back Bradley Roby has stopped both Tom Brady and Blake Bortles in the past, so he’s a great resource for what to expect from Sunday’s AFC Championship Game between the Patriots and Jaguars. Broncos fans will remember in the 2016 season when Roby intercepted Bortles for a 51-yard touchdown return in a 20-10 Denver victory in Jacksonville. He also intercepted Brady on the penultimate play of the 2015 AFC Championship, after Aqib Talib deflected a potential game-tying 2-point conversion try. 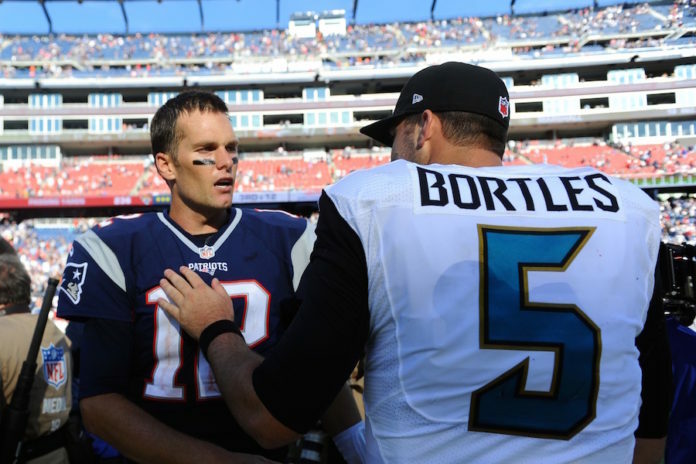 Roby joined TMZ for a video chat recently and offered up his thoughts on how head coach Bill Belichick and the top-seeded Patriots can put the brakes on Bortles and the surprising Jags. Also, Roby gave an update on Ryan Shazier after a recent visit with his former Ohio State teammate and fellow 2014 first-round draft pick. Shazier suffered a spinal cord injury in a Dec. 4 game against the Bengals and is still in recovery.